Calipers are one of the most useful tool in the fitting shop. Caliper is simple measuring tool which is used to measuring distance. Caliper is useful in conjunction with the steel rule because calipers do not contains reading. first the distance is taken by the calipers from the specimen then the calipers will be shifted to the scale is other measuring tool like micrometer or vernier caliper. Caliper is a structure in which two legs are used which are riveted together. Generally a screw and nut is provide to the caliper so that the operator can fix the distance taken from the specimen then it is easy to transfer for further measuring. This is done to improve accuracy. There are two types of caliper generally in practice outside and inside calipers to measure external and internal distances. inside calipers are used to measure the internal distances such af inside diameter of a hollow cylinder. Inside caliper is very useful to measure the distances of restricted areas. Restricted areas are those where steel rule or scale, micrometers can not be uses. For example if we want to measure a small distance inside a machine where scale can not be placed then it is easy to take distance measurement by inside caliper. 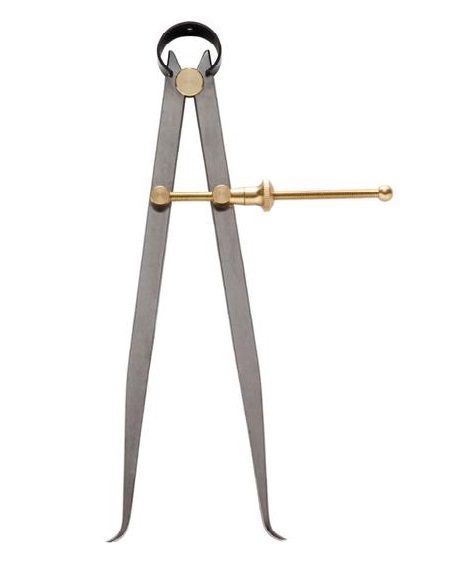 Outside calipers are used to measure the external distances. to measure external length this tool provide higher accuracy. for example, if we want to measure the length of a block or outside diameter of a sphere or cylinder this tool helps in precise measurement. This works by same technique as inside calipers. it is also provided screw and nut to fix the measurement. large distances can be measured with improved accuracy. These are two main types of calipers. there are other calipers also present which are used for different purposes. 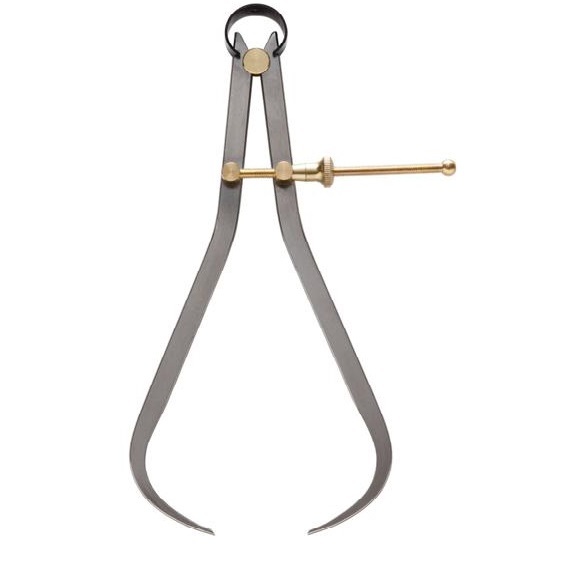 some other calipers are Odd-leg caliper, divider caliper etc.